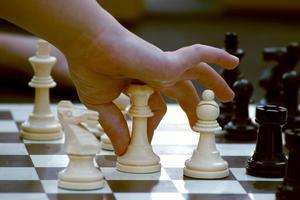 WEST COLUMBIA, SC -- Pine Ridge Middle has crowned a chess champion. The school, in a partnership with Communities in Schools (CIS) and the SC Chess Association, launched the Royal Knights Chess Club this school year. A certified chess coach and CIS held weekly sessions not only to teach club members about the game but to offer information about chess history, strategies, game tactics and sportsmanship skills. In-house chess tournaments were held throughout the year, allowing students to use their chess strategies and skills. A final tournament was held March 30. With donations from Panera Bread, as well as community and parent volunteers, students and their parents enjoyed the event. Improves children's visual memory, attention span, and spatial-reasoning ability. Fosters logic, critical thinking, and creativity.